Cavendish Square Publishing, 9780761457091, 32pp. 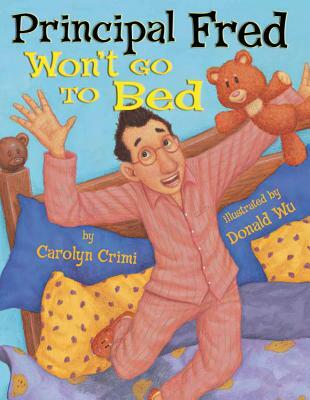 After a long day at school, Principal Fred slips into his pajamas to get ready for bed. But something is missing - where is his bear? "I need Bear " Fred yells as he races down the stairs. He zigs and he zags and he hops across chairs. Follow Principal Fred and his family as they dash and they crash and they search for the principal's favorite stuffed animal. Mixed media illustrations by Donald Wu help bring this bedtime romp to a fitting conclusion.